Parasitoid wasps that lay eggs in other creatures may represent more species than any other group of animals. This Perilampid wasp parasitizes other parasitic wasps. It is 3 millimeters long. (Inside Science) — If there is a creator, what can nature reveal about his or her mind? In a possibly apocryphal story, the famed biologist J.B.S. 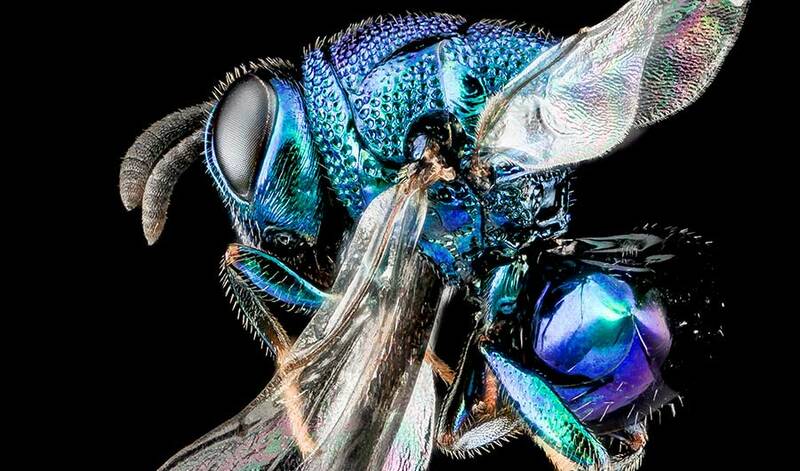 Haldane is said to have answered that “he is inordinately fond of beetles.” But if we’re judging by species diversity, as Haldane probably was, the true celestial favorites may actually be wasps — parasitic wasps whose life cycles read like a horror story. Beetles, which comprise the taxonomic order Coleoptera, have long been hailed as the most species-rich group in the animal kingdom. But this perception may reflect biases in what humans like to collect, according to a new study. Beetles are often large, brightly colored, and easy to handle and preserve, with bodies that don’t collapse when they dry out. Today’s beetle researchers have a wealth of data at their fingertips, amassed by centuries’ worth of naturalists. “Darwin and many landed gentlemen back then had insect collections, and the beetles were usually the prize of their collection,” said Andrew Forbes, an evolutionary ecologist at the University of Iowa in Iowa City and first author of the study, which is posted on the preprint server bioRxiv and is not yet peer-reviewed. In contrast, much less is known about certain groups within Hymenoptera, the order that contains ants, bees and wasps. The bulk of hymenopterans are thought to be “parasitoids” — wasps that lay their eggs in or on the bodies of other creatures, most often other bugs.